I'm growing this in my Aerogarden 6 at work. 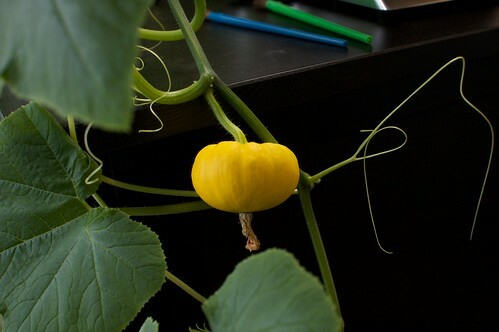 I've only had one two female flowers bloom so far, and one of them was when I was on vacation, so only one pumpkin so far. This should produce pumpkins that are 3-4" across and about 2" tall.